Special Editions of three classic Doctor Who DVD releases - newly remastered, repackaged and reappraised with exclusive new special features! 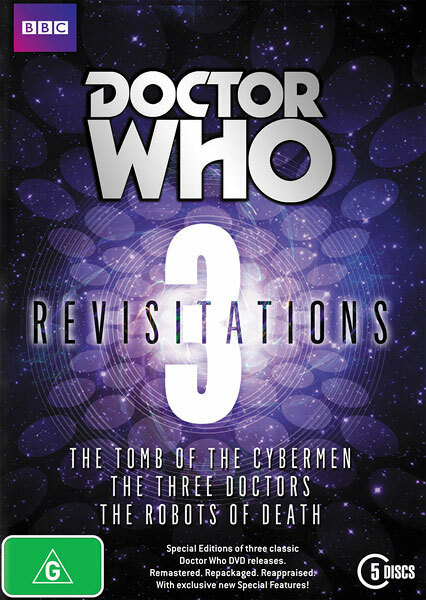 In The Tomb of the Cybermen, the Second Doctor, Jamie and Victoria arrive on Telos – once the Cyber home world – just as an Earth expedition uncovers the entrance to a long-lost control centre filled with baffling technology. This 5 DVD set contains a slew of bonus features, many of which are brand new and exclusive to this set. Contact us at shop@doctorwhoaustralia.org for a full list of bonus features.